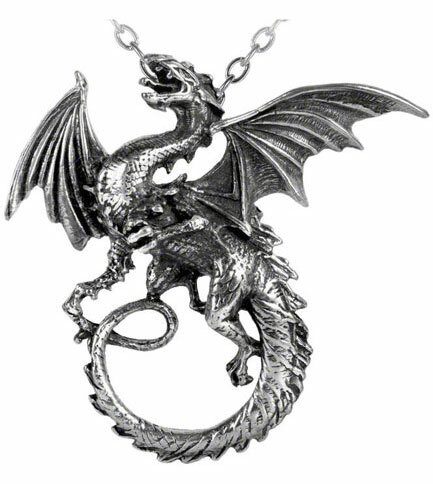 This dragon pendant represents the legendary North Yorkshire servant of the Antichrist rampant. 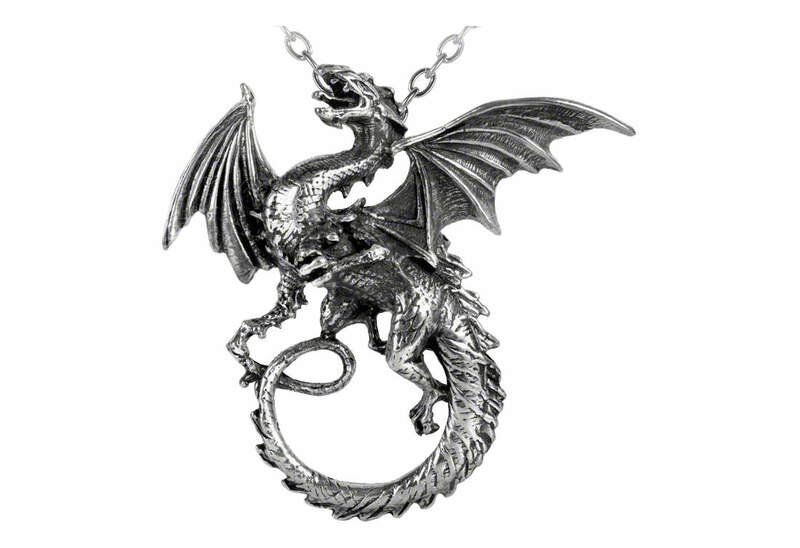 With it's wings spread out and open mouth this stunning pendant can be worn on it's own or accompanied by matching earrings (E279). It is made of fine English pewter with antiqued finish and measures approximately 2.32 inches wide, 2.36 inches high and 0.71 inches deep. The chain is 21 inches long. I'm always leery about what a piece of jewelry will look like in person as opposed to a picture online. I was pleased with this purchase. It was as described and of good quality. My son will love it for Christmas.